In Northern Africa IS (the Islamic State) group rekindled new fears by murdering two Muslim midwives. Saifura Ahmed Khorsa, who was shot dead in September, and a month later a 24 year old Hauwa Liman, was also murdered. They both worked for the International Committee of the Red Cross (ICRC) when they were kidnapped along with another female aid worker from the town of Rann in March. Behind the abduction were fighters from a Boko Haram faction loyal to IS, who are well-known as the Islamic State West Africa Province (ISWAP). Local journalists who have seen the two videos released by the jihadists after the killings say the women, wearing white hijabs, were forced to kneel down with their hands tied. They were then shot from behind at a close range. The militants did not make their demands public. The excuse they gave for killing Ms. Khorsa in September was that they had put forward their demands to the government but they were ignored. The government has not disclosed what the jihadists were demanding. It is unclear why the ICRC would be targeted when it acted as an intermediary between the government and Boko Haram for the release of the Chibok girls in 2017. 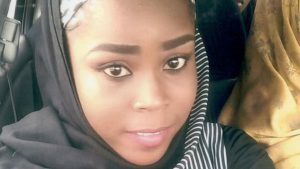 In a short statement after the killing of Ms. Liman, ISWAP said the Muslims midwives were killed because they had “abandoned their Islam the moment they chose to work with the Red Cross”. It shows how brutal and intolerant the militants are. Africa is an important part of the global community. The prospect of transforming and the chances of saving African region from extremism dwindled once, Boko Haram, the most influential Islamic grouping in Nigeria and West Africa, swore allegiance to the ISIL caliphate. As a way of proving its loyalty to ISIL, Boko Haram reportedly sent as many as 200 of its troops to Libya to help ISIL fighters there. The group has also started to emulate Islamic State’s intimidation methods, releasing video clips showing public executions of defectors. Nigeria is the leading country in Sub-Saharan Africa in terms of GDP, a leader in the manufacture and export of oil (sixth in the world), the region’s second most powerful country (behind South Africa), and an important trade partner for the United States, China and the European Union. It is the most populated African country (178 million people). 50% of Nigerians are Muslims, 40% are Christians, which creates constant interfaith tensions. Seems like Islamist insurgency is far from over. It means that there is an urgent need to develop technology related to national security, for the timely prevention of threats and the identification of risks associated with them that do not require excessive funds and at the same time ensuring all aspects of the country’s security. More than 20,000 people have been killed and two million others forced to flee their homes in northeastern Nigeria since Boko Haram launched a campaign in 2009, aimed at forming a breakaway Islamic state. Over the years, the armed group has kidnapped thousands of adults and children. What it means is that Nigeria needs help in order to retain some stability and peace Nigeria is an anchor for African region. The biggest threat to peace in the West African sub-region, and in Sub-Saharan Africa in general, is destabilization of the situation in Nigeria. Law enforcement agencies in Nigeria must take radical steps and stand up to this brutal terrorism that has been perpetuated in their country by Boko Haram. Technology is one way to beat terrorism along with dedicated force. Terrorists may have weapons but intelligence on terrorists and their networks can prove to be a great advantage for Nigeria. It is now possible to beat terrorism with technology. Brainwave Science is a company that established with a unique mission and vision to supply technologies that can bring peace to humanity at a global level. Only Brainwave Science provides the recipe of success in Nigeria’s fight against Boko Haram with iCognative. It is a ground-breaking technological innovation that uses memory related recognition brain patterns to equip law enforcement agents with a powerful intelligence collection solution. With this advanced investigative, interrogative facility can offer rapid and accurate identification of criminal suspects using a specific brainwave response. iCognative utilizes advancements made in the field of neuroscience to enable a highly accurate identification of a person by distinguishing what a suspect, witness, or victim truly knows. Furthermore, the technology behind it is easy to use by law enforcement and provides valuable intelligence. This technological innovation empowers national security agencies and other law enforcement personnel in interrogation and investigation in corroborating suspects’ testimonies and cross-verifying information on suspects. Still, there is no other technology that could determine through reliable, objective, and scientific means whether a person has specific knowledge stored in the brain with over 99% accuracy. In the case of national security of Africa and other countries, Brainwave Science technology developed by Brainwave Science could prevent the attacks and murders behind of which is a Boko Haram faction. Utilization of specific screening the system matches information stored in the memory bank of the suspect with information from the crime scene, valuably aiding law enforcement officials with the ability to distinguish between an innocent suspect and perpetrator. The technology can be deployed by using stimuli collection making in advanced investigations related to the murders of midwives in Northern Africa. Details that could identify the future murders, dates, places of murders, murdered women, the process of their murder can be used as stimulus to conduct a iCognative test. Moreover, even if one terrorist affiliated suspect is arrested and tested using this technology, it is very likely that along with the investigation, intelligence agencies could discover a treasure trove of information that may very well be the breakthrough enough to dismantle the whole terrorist network. This unique intelligence discipline that iCognative offers can help reveal hidden links and connections, which no other technology can provide.